A silver lining actually emphasises the density of dark clouds. And so it has been for India at the Olympics, where but for a lone No 2 spot in trap shooting, we are far down in the list of honours. The controversial Jammu and Kashmir Permanent Residents (Disqualification) Bill has met the fate it deserved. Its rejection by the Assembly is welcome in the larger interest of the state and the country. The Punjab Police seems to have achieved considerable expertise in allowing jailbirds to make good their escape. The most recent and sensational was the Ferozepore jailbreak by three dreaded criminals last week right before its eyes. There is neither war nor peace in Sri Lanka. It is a peculiar situation which leaves somewhat an uncomfortable feeling. Tired of 21 years of conflict and ethnic killings, this island nation is caught in agonising uncertainty, with Sri Lankans hoping that there will be peace in their lifetime and the LTTE's men in the north continuing to work for a separate Eelam. The year was 1970. Like most students of that time, I used to go to college five kilometres away on a cycle. Motorcycles and cars were a luxury which only a select few enjoyed. For me even the cycle was a luxury, because my strict father had made me walk to college in the beginning for several months so that “you know first-hand what life is like for the poorest of the poor”. The only Government Ayurvedic College in Punjab is situated a stone’s throw from the residence of Chief Minister Capt Amarinder Singh in Patiala. The Chief Minister visits it to cast his vote. The only facility to manufacture Ayurvedic drugs — the State Pharmacy — is a little further away. An epitome of humility the 34-year-old Major Rathore from Jaisalmer got our nation victory at the Olympics. After cricket where only a handful of countries excel, it was a major achievement by Rathore in getting a silver to savour for eternity that’s solace for a nation starved of Olympic glory. A silver lining actually emphasises the density of dark clouds. And so it has been for India at the Olympics, where but for a lone No 2 spot in trap shooting, we are far down in the list of honours. This was no Greek tragedy where greatness is struck down by a single, fatal, human frailty. The Indian squad was doomed to failure from the start. Yet, if everyone refrained from giving word to this presentiment, it was out of the wishful thinking that some turn or twist of fortune would favour us. Now that this has not happened, it is time to ask some hard questions, such as whether Indian sportsmen have what it takes to become world-beaters at the Olympics. Or, should we as a country recognise what needs to be done to succeed? The country certainly has the financial resources and is not entirely without infrastructure to nurture to sports talent. There is no dearth of talent or aspirants. What is lacking is enabling conditions, a seriousness of purpose, a resolve to catch them young and put them through the paces when that can be done. Our education system is hostile to anything other than bookish learning and the academic burden is so heavy that little time or energy can be spared by students or institutions to identify and nourish sports talent even when it is spotted. In the instances where it does happen, there is no sustained support, including economic, to realise the potential of the capable ones. The process has to start early on, not a few years before an event, and sustained through years of not just practice and training, but a dedicated routine devoted to achieving excellence. This calls for a change of mindset and approach, besides making the education system more friendly to the effort, not just at the level of the sports ministry or administration, but all the way, down the line. Otherwise, as usual, we would whine about politics and politicians being responsible, and having consoled ourselves with that excuse, again, next time, set out with delusions of success and return empty-handed. The controversial Jammu and Kashmir Permanent Residents (Disqualification) Bill has met the fate it deserved. Its rejection by the Assembly is welcome in the larger interest of the state and the country. Had the Bill been adopted it would have deprived the daughters of the state the benefits they are entitled to as a state subject once they get married to a non-state subject. That would mean that they could not bequeath their landed property in the state to their husband and children. Though some amendments had been made to show that the Bill dealt with men and women on an equal footing, it remained essentially discriminatory in nature. It was not a wise step to bring it back to the Assembly after much hue and cry was raised over the legislation early this year. The Bill was passed by the Assembly in March, but it could not be taken up by the Legislative Council and was allowed to lapse after the Congress withdrew its support on second thoughts. The problem, however, is not over with the failure of the Assembly to adopt the Bill. The acrimony it has generated may jeopardise the relations between the coalition partners-the PDP and the Congress. They found themselves in the opposite camps during the voting on the Bill. Both tried to impress their supporters. The National Conference, which forced the government to reintroduce the controversial Bill in the Assembly, may now try to discredit the PDP in the valley —where both have their support bases — by highlighting the “mishandling” of the matter. The National Conference appears to be the only gainer in all that has happened. It has weakened the government from within. But what is more disturbing is that the regional divide in Jammu and Kashmir has got further sharpened. Therefore, the earlier the divisive piece of legislation is dumped in the dustbin the better. The Punjab Police seems to have achieved considerable expertise in allowing jailbirds to make good their escape. The most recent and sensational was the Ferozepore jailbreak by three dreaded criminals last week right before its eyes. But even that pales into insignificance before its latest exploit. On Monday last seven Punjab policemen took hardened terrorist Gursewak Singh to Delhi to appear before a court and he conveniently gave them the slip. The real surprise lies in the fact that Gurdial Kaur, the mother of Gursewak Singh, had already sent a registered letter marked “sensitive and confidential” to senior police officials informing them that her son had told her that he was all set to escape. This was perhaps the first case where a prisoner sent the police advanced intimation of his travel plans and yet nothing was done to foil it. Without going red in the face, the officials are now saying that they thought the letter was not serious and was the result of a family feud. Instead of fixing the blame for this believe-it-or-not inefficiency (or is it collusion? ), the policemen are said to be venting their anger on the family of Gursewak Singh for having revealed to the Press the contents of the letter that his mother wrote to the police. Once they get free from this thrashing exercise, perhaps they would be so kind as to answer some intriguing questions. One, why wasn’t Gursewak Singh taken to the Capital one day before the court proceedings as is normally done? Two, why was the Delhi Police informed of the escape only the next day? Jagtar Singh Hawara, Jagtar Singh Tara and Sukhdev Singh have already escaped from Burail jail. Like them, Gursewak Singh was one of the accused in the assassination of former Punjab Chief Minister Beant Singh. Whether these two sensational escapes are part of an attempt to revive militancy in the State is not clear. But even if the mothers of the four send letters to the police that they are planning to do exactly that, chances are that these will be ignored. There is a sort of ceasefire between the Sri Lankan army and the LTTE, but much remains to be done before a ceasefire can become peace and the nation can breathe easily. I was recently in Colombo to attend a meeting of the Jury of the South Asian Prize for Tolerance - a value that has eluded much of South Asia and certainly Sri Lanka. The Jury's meeting gave me an opportunity to meet a wide spectrum of people - their new Prime Minister, the Foreign Minister, Opposition leaders, the General Secretary of the Left-wing JVP (now a coalition partner) and others who are chipping in with their effort to peace-making in Sri Lanka. President Chandrika Kumaratunga was away to Britain, presumably to meet her children. Mrs Kumaratunga, whose family has ruled Sri Lanka for several years since the country became free over five decades ago, perhaps thinks that she alone among the present lot of leaders in Sri Lanka can establish peace, ensuring at the same time that the Island Republic would remain one country. Mrs Kumaratunga has already ruled Sri Lanka for 10 years and has got just two years left of her second term to accomplish what she believes is her mission. Under the Sri Lankan constitution a President cannot have a third term. Mrs Kumaratunga, 62, is not one of those who may be inclined to calling it a day. There is open talk in Colombo's political circles — and they are good at both analysis and sifting logic from facts and gossip — that she will get the constitution amended to get another term of six years, or go in for a new constituent assembly to have a parliamentary form of government which can give her a chance to rule Sri Lanka as Prime Minister, if not as its executive President. There can be problems on the way if she follows this track to remain in power longer than warranted under the present constitution. Mrs Kumaratunga's alliance does not have a two-thirds majority in Parliament to permit a constitutional amendment or to set up a convenient constituent assembly. Given the arithmetic thrown up by recent parliamentary elections, Mrs Kumaratunga cannot get the constitution amended or a new constituent assembly set up without the cooperation of opposition leader Ranil Wickremsinghe. They have had continuously acrimonious relations until the elections and it is inconceivable at present that they can easily overcome bitterness and join hands to work together to build a new Sri Lanka. And why should Mr Wickremsinghe, who is much younger to Mrs Kumaratunga, sacrifice his own ambitions to help his main adversary rule Sri Lanka again - and at his own cost? In Colombo, like in most capitals of the world, no one rules out new permutations and combinations of political forces, however. Where cohabitation did not work in the last Parliament, realignment of the SLFP and the UNP men might become necessary one day. Today's foes can become tomorrow's friends one day. Time is not the only hurdle in Mrs Kumaratunga's search for peace - although she was totally opposed to Mr Ranil Wickremsinghe's softness towards the LTTE's demands. Mrs Kumaratunga's party, the Sri Lanka Freedom Party, in fact, fought last April's parliamentary elections on the platform that Mr Wickremsinghe as Prime Minister was giving too many concessions to the LTTE and this in the long run could lead to the creation of a separate State - a Tamil Eelam. Having defeated Mr Wickremsinghe's UNP at the parliamentary polls -with the help of the extreme left-wing party JVP (Janatha Vimukthi Peramuna) - Mrs Kumaratunga is perhaps keen to make it known to the world, particularly the West, that she is no less ardent a peace-seeker than was Mr Ranil Wickremsinghe. While the ceasefire between the Sri Lankan Army and the LTTE has several ups and downs, the peace process, which had been initiated by the Norwegians, remains stalled. The current effort is to get the peace process started again before it gets too late. The Norwegians, who have established enough credentials with both the Colombo establishment as well as with the LTTE in the north, are back in the game, although one of their ministers who visited Colombo recently described the situation, although a little despondently, as "a frozen war". A senior UNP functionary said the current phase was not peace, but "a proxy war." A formidable block before the resumption of peace negotiations is the LTTE's demand that there must be an Interim Self-Government Authority (ISGA) through which the Tamils can run their own administration in the northern and eastern provinces without any interference by the Sri Lanka government. For the opposition UNP, it is not a serious hurdle. In the government and the ruling alliance headed by Mrs Kumaratunga, opinions vary. While Mrs Kumaratunga and advisers may be thinking that definitional concerns about what the ISGA would ultimately not stand in the way of a dialogue getting started, her partner in the alliance, the JVP, which represents hardline Sinhala opinion widely prevalent in the South, is opposed to the ISGA, which, it is sure, would be a first step towards the creation of an Eelam. The JVP, which has won an amazing 39 seats out of 220 in Parliament and 80 out of 83 seats in local elections has emerged as a powerful group in the ruling UPFA and cannot be easily ignored by Mrs Kumaratunga. While there are indications that it would like to avoid the fall of the UPFA government led by Mrs Kumaratunga's nominee, Mr Mohindra Rajpakse, as of now there is no sign that the JVP would give up its opposition to the LTTE's demand for the ISGA. Interestingly, the UNP has, for effect or otherwise, made it known that the opposition UNP would support the government if the JVP tries to scuttle the resumption of talks with the LTTE over the ISGA. The distrust between the government and the LTTE is another hurdle yet to be crossed. What has deepened it is the recent defection of Karuna, one of Prabhakaran's senior commanders, who broke ranks with the LTTE leader. Karuna's revolt, although crushed by Parabhakaran's men, has seriously dented the LTTE supremo's image and the claim that he alone is the representative of the Tamils. Notwithstanding impediments, there are indications that peace-makers are engaged in back channel diplomacy to place the derailed peace dialogue back on the track, even if the actual resolution of the Sri Lanka's ethnic crisis remains a distant proposition. Efforts seem to be on to see that Colombo's as well as the LTTE's representatives meet in Oslo under the Norwegians' auspices, say in October or November. Crucial will, however, be a meeting of the Tamil diaspora in Geneva next month after which the LTTE's position will be known. Interestingly, all parties in Sri Lanka want India to play a role in the peace process. Essentially, both the ruling UPFA and the UNP want India to put pressure on the LTTE to ensure that it comes to the negotiating table in a more reasonable frame of mind. India is opposed to again getting sucked into the Sri Lankan mess, having already burnt its fingers in 1987, when on Jayawardene's plea it rushed the IPKF to the North. It was a decision India was to regret later. Also, for India, the LTTE remains a banned terrorist organisation and its demand for Prabhakaran's extradition still remains a serious concern for South Block. And rightly so, after the assassination of Rajiv Gandhi. India would like to see peace in the strife-torn nation restored and aspirations of Tamils and other communities met, but New Delhi is unlikely to be sanguine about the setting up of the ISGA demanded by the LTTE. New Delhi cannot relish the creation of an entity which has the makings of an Eelam next to its coastline. New Delhi's primary concern is to see that Sri Lanka remains a united country. When it was time to leave home on the prized bike, Father would be sitting in his favourite armchair in the verandah scanning his huge bundle of newspapers. His parting words to me invariably would be that I must get down from the cycle whenever I reached a crossing and walk my way to the other side. I would nod absent-mindedly and promptly forget this advice as soon as I stepped out of the house. But since it was still rendered day in and day out, it started getting on my nerves. There was no question of saying anything in front of Father but I used to grumble constantly before Mother that if papa wanted me to traverse every crossing on foot, he might as well send me to college two hours in advance. The cycle became a closed chapter of my personal history as I went on in life. But I took to cycling again after a few decades – this time for health reasons. Ten kilometers of pedalling gave me my daily exercise to compensate for a sedentary job. It was a sleek, multi-gear contraption very different from my college companion, but it was a cycle nevertheless. The other day, while I was returning home from my office, I had to negotiate a crowded roundabout. Roundabouts, as you know, are war zones where no rules and regulations apply and only the strongest, the largest and the fastest survive. Fearing that someone in his fancy car would abuse me or even bang into me in spite of the fact that I had the right of the way, I instinctively got down from the cycle to go across on foot. Only when I had done that did the long-forgotten advice come back to me in a flash. Oh my God, I said to myself, I am doing exactly what Father told me to do full 34 years ago. This small incident seems to have left a big impact on me. I find to my own surprise that I am able to take every criticism and suggestion far more sportingly and without losing my temper. I know for sure that even if somebody corrects me in a rude way, he has only my good in mind. These days it is the turn of my school-going son to get impatient when I or other elders try to teach him something from our experience. I fervently hope and pray that it would not take him 34 long years to appreciate the value of our counsel and the sincerity of our intentions, as it happened in my case. The only Government Ayurvedic College in Punjab is situated a stone’s throw from the residence of Chief Minister Capt Amarinder Singh in Patiala. The Chief Minister visits it to cast his vote. The only facility to manufacture Ayurvedic drugs — the State Pharmacy — is a little further away. The lone State level Ayurvedic hospital is also situated in the town. The state of these institutions, which are gasping for breath, sums up the state of Ayurveda in Punjab. Ayurveda is nobody’s baby. It has been bastardised to such an extent in the State that it no longer remains the science of yore. Students studying ayurveda have to learn allopathic practices. Even the syllabus is more allopathic in nature than ayurvedic. Students try to practise allopathic medicine later ensuring they are shunned by allopathic practitioners and know practically little of ayurveda. 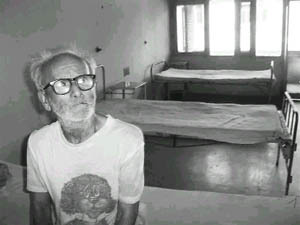 All ayurvedic institutions in the State are in a mess, be it the Ayurvedic College which is being virtually run without teachers, the 106-bed ayurvedic hospital where the authorities cajole beggars and vagabonds to occupy beds whenever there is a check by the Central Council of India (CCI) or the State Ayurvedic Pharmacy where despite central assistance the State has not given the required funds to generate medicines for dispensaries all over the State. Central schemes aimed at propagation of ayurveda have also fallen flat on their faces with many of them having lapsed with the government not putting in its share of funds to ensure their implementation. Government Ayurveda College in Patiala is an example of an institution which has gone to seed. Such is the disillusionment about the institution that last year some of its students filed a case in the Consumer Court claiming they were not getting the facilities necessary to ensure quality education. The case was subsequently “withdrawn” but the state of the institution remains the same. The hospital does not have any teacher in the eye and ENT departments. The surgery department will be without any teacher in December this year while the gynaecology and paediatrics departments will become teacherless next year. The government does not have any policy of refilling vacant posts which is leading to this situation. Out of the total 60 sanctioned posts in the college, as many as 35 are lying vacant. There is no current policy to fill up vacant posts. Out of the 25 teachers working in the college, as many as 50 per cent have been appointed on an ad hoc basis. Eight of the 12 posts of Professor are lying vacant. Out of the four Professors working in the college, only two are against regular posts. Similarly, the case for appointment of a regular Principal is pending as is the issue of giving pay scales to the teachers on the recommendations of the Fourth Pay Commission. Even promotion cases have been delayed endlessly with meetings for this purpose being postponed for months altogether. The college is now running postgraduate courses in both Pharmacology (Ras Shastra) and Pharmacognosy (Dravya Gunna) for the past eight years although now there are moves to restart the courses. Unlike other ayurvedic institutions like that at Jamnagar or Banaras Hindu University (BNU), the Ayurvedic College also does not have any provision for capsule courses on diseases like fistula or piles or even yoga. The case of the only Government Ayurvedic Pharmacy in the State is even more tragic. The Pharmacy, which supplies medicines to all the 540 dispensaries, 16 health centers and five hospitals, is being ignored despite a recent revamp due to the grant of Rs 50 lakh in the Tenth Five Year Plan. Due to the money received from the Union Government, the pharmacy was able to build a new building after demolishing its earlier building which had been declared unsafe besides purchasing new machinery. With all this being put into place, things are still not moving because the government has sanctioned only Rs 4.75 lakh to the dispensary for the year 2004-05. The pharmacy solicited tenders for Rs 4.25 lakh last month. Only two forms were sold but none applied for the tender. Feedback from the suppliers revealed that none took the trouble as the department had asked for a bank draft of Rs 25,000 and many of the suppliers were not sure they would even get an order for supplying medicines worth Rs 25,000. The government is sanctioning Rs 4.75 lakh to the pharmacy for purchase of medicines for the entire year when the annual electricity bill of the pharmacy is Rs 2 lakh and and its annual salary bill is Rs 1 crore. The State government had sanctioned Rs 10 lakh for medicines last year but the grant could not be utilised and has since lapsed. Twenty years back the pharmacy used to be given Rs 20 lakh for purchase of medicines. The rates of the same medicines have increased by around 50 times since then. Even central schemes for propagation of ayurveda have lapsed. A Rs 15-lakh scheme envisaging provision of ayurvedic medicines for rural dispensaries has lapsed. The government bypassed its own pharmacy to divert the money to the District Ayurvedic Officers in March, 2004. However, it was too late in doing so and the medicine could not be purchased before the end of the financial year and the scheme lapsed. Similarly, the “Home Remedy Kit” of the Union Government under which Patiala district was chosen under a pilot project has also lapsed. An epitome of humility the 34-year-old Major Rathore from Jaisalmer got our nation victory at the Olympics. After cricket where only a handful of countries excel, it was a major achievement by Rathore in getting a silver to savour for eternity that’s solace for a nation starved of Olympic glory. Rathore made an exceptional effort to climb three places from his qualifying fifth position with frayed nerves and minimal loss of focus. His wife Gayatri had to put her medical career on hold resulting in the family running short of finances. Well, everybody’s cup of joy is full now and Rathore will never forget the day when he walked the fine line between success and failure eventually breathing in the sweet smell of accuracy. No amount of doping controversy or the glamour associated with the likes of Anjali Bhagwat, and world No. 1 pair Paes and Bhupati could stop the crowds going hysterical when this Major arrived. Affectionately nicknamed “chilly”, he was mobbed by friends at Delhi airport. Well, the simple man was overwhelmed and the Greek Gods could not have found a better man to bless. The Major now has set his targets to win a gold and help fellow shooters to win medals. Last week was full of celebrations of Rajiv Gandhi’s sixtieth birthday starting from Vir Bhoomi at six in the morning. The Vice- President, Manmohan Singh, Sonia with her family and four-year-old grandson Rehan along with senior Congress leaders offered flowers at the Samadhi. The central portion is monolithic granite lotus (a Rajiv) floating on a sea of granite waves depicting the eternal oceans of the universe. White motia flowers and white lotus placed in earthen pots covered with white khadi completed the picture. The same evening the Rajiv Gandhi Sadhbhavna Awards were given to social activist Swami Agnivesh and Mohideen Madari from Kerala. Madari adorns a red rose every single day of his life in his kurta buttonhole. As a kid he was presented a rose by Jawaharlal Nehru himself who was passing Madari’s village and heard Madari cheering his “Chacha” loudly. Nehru then called for this youngster who ran and clung to Nehru’s legs. That interaction was so inspiring that he vowed to serve the needy, and has since devoted his life looking after the homeless. Madari actually cleans and sweeps at a school for his living and yet helps destitute people by feeding and clothing them in his house. Everybody was amused by the warm interaction of Madari and Mrs. Gandhi. Sonia seemed to have taken him under her wing, as he did not understand Hindi or English. He would stand up enthusiastically whenever he heard his name. Sonia would then hold his arm and make him sit down. When the awards were presented he was guided again by Sonia to stand facing the cameras. This simple Madari was so excited that he ended up hugging all rather tightly, including the Prime Minister, who reciprocated gamely. The audience waited with bated breath and crossed fingers that he would not as enthusiastically hug Mrs Gandhi. He ended up to everybody’s relief however, just vigorously shaking her hand. Truly humble were these two awardees of the National Sadbhavna awards. There was another awards giving ceremony of Rajiv Gandhi scholarship scheme for students and wheelchairs sponsored by different NGOs and co-operatives which were given out to the disabled at 10 Janpath. I am the slave of my Master (God) and have grasped His feet. He is the life-of-all-life and has rid me of my ego.